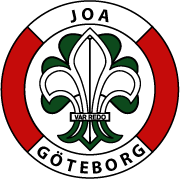 Välkommen till en ny termin i Johannebergs scoutkår! stated goals. Some question sets might have more than one correct solution, while others might not have a correct solution. and phone number for all customers. The function should return nvarchar(10) and not a TABLE. area code is defined as the first three characters of the phone number. We need SELECT TOP 1 @areacode =.. to ensure that only one value is returned. functions, stored procedures, triggers, and types. Terminsprogram finns på respektive avdelnings sida.